As a newcomer, I was keen to meet as many people as I could in order to get a broad appreciation for the company’s tools and practices and to find out who the “need to know people” were. As I roamed around meeting people and learning how they worked, I discovered that in a relatively short period of time, teams had become siloed. I decided to tackle this by starting a Community of Practice for the thirty odd software testers in the department. Since those early days, the community has grown to nearly 200 members. Over the years we have experimented with a huge variety of different events and formats. We’ve hosted big-name speakers, sponsored external community events and even joined forces with other communities. We’ve tried everything from informal socials, speed “dating”, debates, quizzes and awards ceremonies to interactive workshops, technical demos, seminars and conferences. “a group of people who share a craft or a profession”. In my case the craft is software testing and here are the lessons I have learned from building a successful CoP along with a number of false starts and stumbling blocks along the way. This topic is practically worthy of a dedicated blog post. In short though, if you are looking to build a community of sociable, collaborative testers then you need to begin with a strategy for recruiting people who have a proven track record in collaboration. Bring in testers who actively engage in the wider testing community. Testers who attend meetups, conferences and training courses; testers who participate in online debates on Twitter or blog comments; and testers who write their own articles for popular tech publications or personal blogs. Testers who have actively engaged previously are more likely to engage in the community you’re building and will help to build the early momentum that you will need. “hearty in your approbation and be lavish in your praise”. “mighty oaks from little acorns grow”. When you’re starting out building a CoP you won’t have many cheerleaders so you will have to spend time on self-promotion. In the Social Media age, we all can suffer from a touch of FOMO when we see people that we know having great fun. Use this to your advantage. There is a plethora of communication and social platforms available to you – Twitter, meetup.com, Slack groups, email, instant messengers, wikis, blogs, message boards. Think about how you can use the tools at your disposal to promote your community, connect people across different locations and allow people to share all the great things that are happening within the CoP. If you’re going to build a community, make sure everyone knows who you are and what you stand for. Big corporations do this best, think McDonald’s, Nike or Donald Trump. They all have a logo you can spot at a glance (or 50ft letters on top of a skyscraper!). They also have a catchy slogan that embodies their brand, “I’m lovin’ it”, “Just do it”, “Make America great again”. They do this to build a clear identity. Something you can remember easily. Something for their customers or followers to buy in to. When setting out building a community of your own, think about how you’re going to market it. Something as simple as a catchy tagline or a hashtag can be enough to get started. Something to capture people’s imagination and something easy to remember. Give it a go. Maybe you can #MakeTestingGreatAgain! Think about it. When you have a problem who are you more likely to ask for help. The person who is best placed to give advice, but you have never spoken to, or a close colleague that you know and trust? Now imagine that the best person to ask was also a close personal friend. This embodies the purpose of a Community of Practice – solving problems through friendship. Remember that not all CoP interactions need to revolve around work. Informal discussions, coffee chats, lunches and socials are a vital part of bringing people closer together and building a community. We’re all too busy. We’re all distracted. We’re all fed up with too many meetings and too many emails. Don’t add to the problem, become the solution. You’re writing some code and keep coming up against the same problem that you simply aren’t able to solve. Would you prefer to “pull” the solution by asking the question on stackoverflow.com (or find a previous question that matches yours) and have other people come to help you? Or would you rather have the vendor “push” a manual on you that covers the main features of the language but likely will not explicitly discuss the error you’re seeing? Adopting a “Pull model” is the true essence of community. It’s a place where people come to ask for help and others flock to share, teach, debate and have fun. A place where friendships are born and innovations happen. Taking of friendships, thanks to @strydom_lindsay for her invaluable feedback on this lesson. Everyone is different. Some people have long attention spans and can absorb lots of information, but not everyone is the same. Watching presentations or keynote speeches may be great for some, but others learn better through interactive workshops. Some love to debate and have others challenge their ideas. Others prefer to work in isolation and just ask questions when they get stuck. Variety is very much the spice of life, so try to keep your community activities varied and engaging. Remember that not every activity has to be strictly work-related. Social events, lunches, coffee chats and sports can all be great ways to get people to build new relationships which will help them to share and collaborate on future projects. You may have recruited a bunch of really collaborative, sociable members and chosen a really catchy, inspiring slogan. Even so, if it difficult for your members to engage, then even the most enthusiastic of them will soon lose faith. In a similar vein to the previous lesson, as a community leader, it is vital that you do all you can to remove any obstacles that may prevent your testers from collaborating. Maybe you can set aside an afternoon a week to have no project meetings. This will give everyone a time when they can engage in community activities. Or perhaps you can remove or automate some of the laborious administrative side (completing time sheets, submitting funding proposals, securing funding etc). Anything you can do to reduce the friction will encourage your members to collaborate. Remember, being a member of the community should be enjoyable, not a chore. Building a CoP is a tough job and it’s not for the faint-hearted. There will be times when key members leave or nobody turns up to your events. Don’t let these setbacks get you down. Keep going. Keep learning. Eventually, you will get there. Focus on the members who are most active. Maximise the benefit they are taking from the community and listen to their feedback. Don’t be disheartened by the negative voices and don’t get hung up if a specific person or group isn’t engaging. 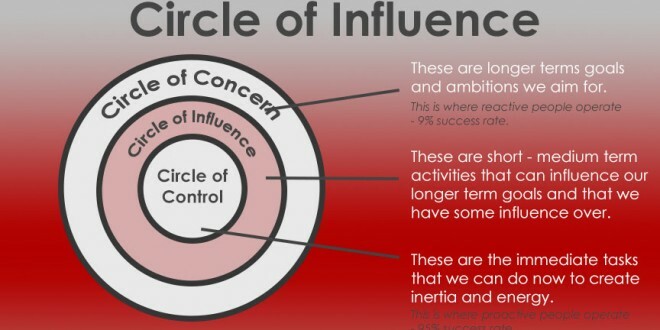 In the words of Stephen Covey “Be proactive” and focus on your circle of influence. In order to influence, you must reward the behaviours you want to encourage. Similarly to Lesson 2, when people contribute to your CoP then it is vital that you show them recognition. Simple gestures like saying “thanks”, publicly praising their work or buying them a drink can go a long way. What’s more, the positive reinforcement will encourage them to continue and for others to follow suit. If you are also a manager then you have even more control over this. Most companies will have existing objectives or KPI processes which you can use leverage, in order to drive the positive behaviours you’re looking for. You can even use financial rewards such as pay rises, bonuses or promotions to further reinforce collaborative behaviours. It is also worth reviewing the existing reward and recognition system to ensure they are not rewarding the wrong behaviours. It is all too common that rewards are focused on individual achievements. This can work against your community initiatives by encouraging individuals to become overly introverted and self-centred. Remember, if you want your community member to be more altruistic, then ensure that you are rewarding the behaviours that contribute to it and not against it.